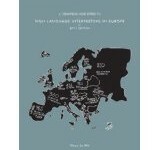 Sign Language Interpreting in Europe An new edition of Sign Language Interpreting in Europe by Maya de Wit has been published. 10% of the proceeds of each sold publication will be donated efsli. The publication is available as e-book and paperback at amazon.com. For any further questions, please contact the author, Maya de Wit, maya@tolkngt.nl.